The coast and lochs of Dumfries & Galloway are a joyous playground for wildlife and for outdoors people who enjoy outdoor activities. Close to between the links challenges of Southerness and Powfoot you’ll find acres of wetlands, filled with a cacophony of wintering birds as thousands upon thousands of geese descend on this beautiful expanse of marsh, providing exceptional wildlife watching and photography opportunities. 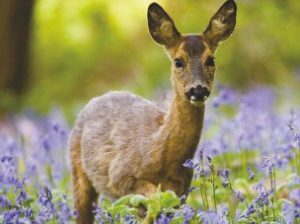 The woodlands and forests a little further inland abound with interesting wildlife, and red squirrels, deer and birds of prey are a common site on courses such as New Galloway, Dalbeattie, Moffat and Langholm. 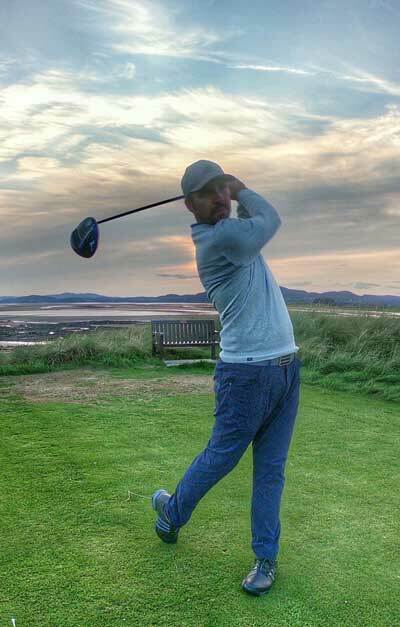 Scotland’s coast to coast footpath, the Southern Upland Way, starts in beautiful Portpatrick, which is also home to the stunning 18 hole Dunskey Golf Course, and 9 hole Dinvin. The Moffat Hills are popular with hillwalkers and renown for their gentle majesty to enjoy outdoor activities. Moffat Golf Course makes excellent use of the upland landscape. 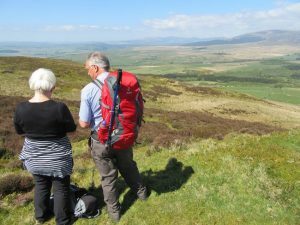 The 14 way marked route s in and around Langholm make this borderlands town a very accessible walking, as well as golﬁng, destination. Newton Stewart’s location, nestled between the Galloway Hills and Wigtown Bay, provides a plethora of walking routes to explore across varied landscapes, and Newton Stewart Golf Club and Wigtown & Bladnoch Golf Club are nearby golﬁng treats. 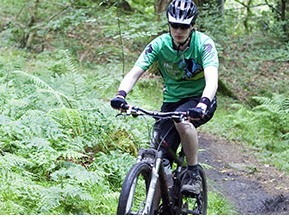 Mountain biking is a top recreational activity in South Scotland. Keir Mill in Dumfries & Galloway is the birthplace of the bicycle and you can find out the story of this revolutionary ‘velocipede of ingenious design’ at the Scottish Cycle Museum at Drumlanrig Castle, just a few miles from the immaculate Thornhill Golf Club. In recent years the region has become one of Scotland’s top mountain biking destinations, home to5 of the famous 7stanes mountain biking centres. Head to Glentrool after a quick 9 holes at New Galloway Golf Club,team up Kirroughtree with Newton Stewart Golf Club, Dalbeattie’s hardrock trails are a stone’s throw from Dalbeattie,Craigieknowes and Colvend golf clubs, Mabie just a few miles from the honeypot of Dumfries & Galloway, Dumfries &County and the Crichton clubs, while biking at Ae is close to golfing in Moffat, Lockerbie and Lochmaben.. 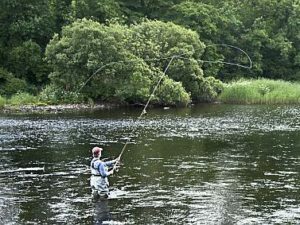 The Rivers Annan and Nith offer some of the best salmon and trout fishing in Scotland, beautiful rivers that journey alongside some great golf courses, in fact Dumfries and County hold fishing rights to the stretch of the Nith that borders the course. Further upstream both Sanquhar and Thornhill perfectly combine golf and fishing in the Nith, while Powfoot and Hoddom Castle golf courses are conveniently placed near the River Annan. In the west of Dumfries & Galloway the long, long coastline offers excellent sea angling alongside stunning coastal courses such as St Medan and Stranraer, Kirkcudbright’s Marina provides ample fishing and sailing activities as well as outstanding golf, while bountiful coarse fishing can be found in lochs and fisheries all over the region, with Loch Ken, between Castle Douglas and New Galloway, a particular highlight.